Did Jesus ever teach the notion of humans going to heaven for all eternity or being eternally tormented in a fiery hell? 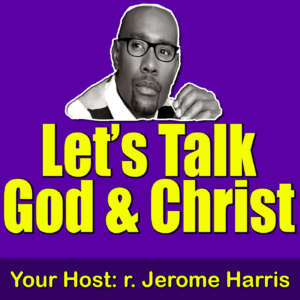 Episode 003: Did Christ Ever Address His Father By Some Personal Name? Did Jesus at anytime address his God and Father by some personal name? Did Jesus teach his Disciples the personal name of God? Episode 004: Did Christ Teach Water Baptism? This podcast explores whether or not Jesus taught water baptism. Would his baptism be of another source? If so, has the world been misled with regards water baptism and if it has been misled, then by who? This podcast discusses how the death and resurrection of Jesus' friend Lazarus to show that there is no Rapture and that it is a false teaching.